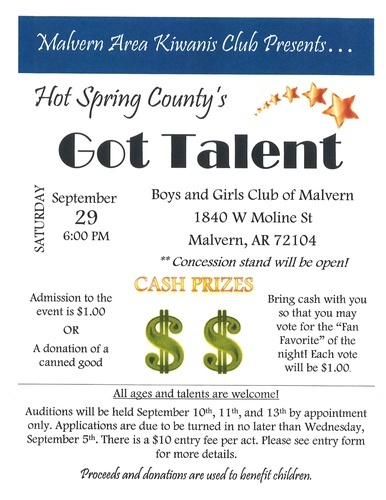 All ages and talents are welcome! Auditions will be held the week of September 10-14 by appointment only. Applications will be due by Wednesday, September 5th.